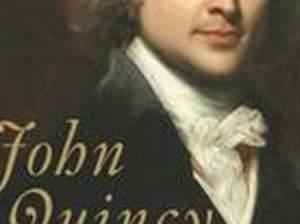 The sixth President of the United States, John Quincy Adams fought for George Washington, served with Abraham Lincoln in Congress, witnessed Bunker Hill, and as a staunch opponent of slavery, foresaw that slavery would lead to civil war between the North and South. He is, in fact, the only major figure in American history who knew both the founding fathers and Abraham Lincoln. He negotiated an end to the War of 1812, engineered the annexation of Florida, and won the Supreme Court decision that freed the African captives of The Amistad. He served his nation as minister to six countries, secretary of state, senator, congressman, and president. His opposition to slavery inspired John F. Kennedy's Profiles in Courage. Yet he remains one of the least-known presidents in our nation's history. We'll talk with biographer Harlow Giles Unger about John Qunicy Adams. Obsessive Compulsive Disorder is an anxiety disorder that affects more and more Americans every year, but the symptoms are so subtle that years or even decades may pass between the onset of symptoms and treatment. Today on Focus, we'll talk about OCD and related disorders with professional counselor Shayla Parker. In the 1930s and 1940s, the Library of Congress commissioned audio recordings of amateur singers and songwriters throughout the United States. These have come to be called "field recordings," and the recordists travelled the country in search of them. Musician, recording artist, and writer Stephen Wade tells the story of thirteen of these recordings made across the United States between 1934 and 1942 in locations reaching from Southern Appalachia to the Mississippi Delta and the Great Plains. Working 18 years on this project, Wade travelled the country, seeking out the original artists, their families or friends present at the recordings and interviewed more than 200 people for the book. Most of the original artists were amateur singers or musicians who were being recorded for the first and only time; many of their famililes were not even aware that the recordings were made. And yet many of the songs have enjoyed long afterlives, influencing musicians and featuring in films. Stephen Wade is a musician and writer whose latest album is Banjo Diary: Lessons from Tradition, out on Smithsonian Folkways Records. We'll discuss the outcome and ramifications of the 2012 election, from the President to local races. Our guests are John S. Jackson, Visiting Professor at the Paul Simon Public Policy Institute at Southern Illinois University; and Brian Gaines, professor in the department of Political Science and the Institute of Government and Public Affairs at the University of Illinois. The Future of the Publishing Industry: Print, Digital or Both? According to the Association of American Publishers, last year, for the first time, e-books garnered more revenue than any other format of adult fiction. Overall, net sales revenue for electronic books more than doubled in 2011 compared to 2010, and there’s every reason to believe that transition will continue here in 2012 and beyond. Meanwhile, the industry has felt the effects of the bankruptcy and closures of Borders stores nationwide, another signal of a rapidly changing industry. As more people download novels to their Kindles and Nooks, what’s to become of the publishing industry? Could we see a day when actual physical books are no longer printed? Is what’s happening with the newspaper and magazine industries a harbinger of things to come for books?